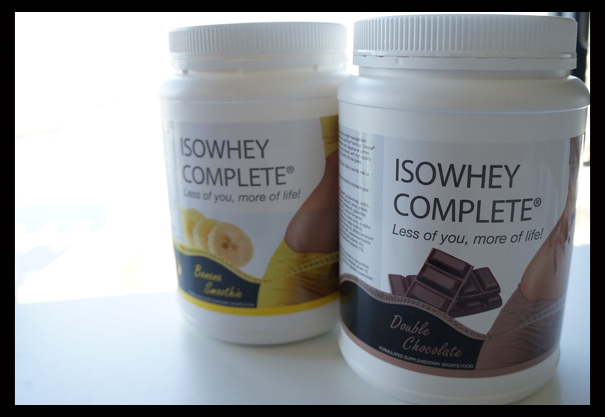 I mentioned in my Healthy Eating and Detox post a month or so back that I was taking the IsoWhey weight loss supplement, and promised that I would be updating as I progressed. So, as promised, here is my first update. It took a while for my stomach to adjust to the introduction of so much protein. I was going to the toilet more often (TMI, I know! ), and I felt a little bit uncomfortable my first three days or so. Once I got used to it, I felt much more comfortable taking the shake. Unfortunately, I hated the taste of the banana shake - it reminded me too much of a type of antibiotic I took whenever I was ill, when I was younger. I found a fantastic way to disguise the taste though! I bought a pack of frozen berries as well as a little bit of honey, and blended them together with the shake and a little bit of milk, and managed to disguise the taste enough so that it didn't take a lot of effort and breath-holding to gulp it down. It was really good at helping me curb my appetite - after my morning shake, I didn't feel at all peckish, nor was I hungry by the time lunchtime rolled around. My stomach had definitely gotten used to this by then. However, the IsoWhey booklet had warned me that the protein would be very dehydrating, and I definitely was feeling the effects in these next two weeks. I increased my water intake but still experienced chapped lips and a very dry nose and throat. This supplement was pretty fantastic when I took it post-workout. I always feel very lethargic and sometimes even a little dizzy after my workout. This helped immensely (and almost immediately), which really impressed me. As far as weight loss goes, there has actually been a tiny bit of weight loss despite my poor efforts! I think I may have lost a bit more weight if I had adhered strictly to the meals in the recipe book provided by IsoWhey, but realistically speaking, I had very little time to make these meals, I was cooking meals for a picky bunch of people at home, and it wasn't easy trying to get all the ingredients together to make them. I am currently taking only one shake per day, though there are other plans on IsoWhey that will probably help you lose weight faster by taking two shakes per day as meal alternatives. I am still sticking to this plan and have been making an extra effort to work out as well as eat healthy, so I will report back with results in about a month. Wish me luck! This post contains a product sent for review and consideration purposes and has been included in accordance with this site's Disclosure Policy.